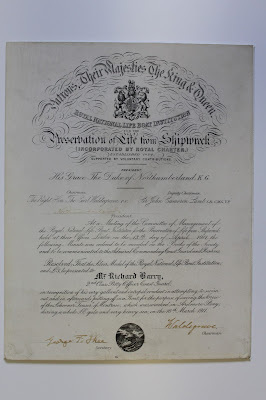 ‘In recognition of his very gallant and intrepid conduct in attempting to swim out, and in afterwards putting off in a boat, for the purpose of saving the crew of the schooner ‘Teaser’ of Montrose, which was wrecked in Ardmore Bay during a whole S.E. gale and a very heavy sea on the 18th March 1911’. 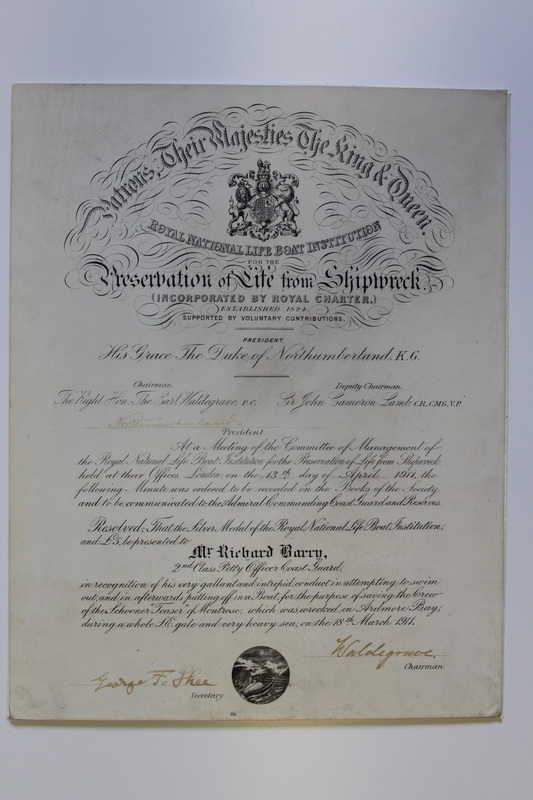 The document is signed by The Earl Waldegrave, President, and the Secretary George F. O’Shea.